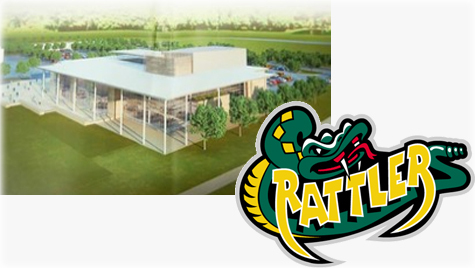 (Bradford, ON) The GMHL’s Bradford Rattlers will be getting a new arena. The Bradford Leisure Centre will be the new home of the Rattlers starting in the 2011-2012 season. The multi-million dollar facility is currently under construction and is scheduled to open January 2012. Bradford will continue to play in Bob Fallis Sports Centre until construction is complete. The Rattlers have played out of the Bob Fallis Sports Centre each of the past 5 seasons, since the team’s inception. The new arena will seat 900 fans, with full concession stands and lobby area. The complex will be located on Holland Street, near Melbourne Drive. Other facility features include two NHL sized ice rinks, 8 lane and 25 meter swimming pool, full fitness centre, indoor running track, gymnasium, and pro shop.